Blue Kite Insight uses scientifically validated methodologies to identify the emotional, nonconscious drivers of consumer behavior and preference. Blue Kite’s neuromarketing research combines behavioral, biometric and verbal responses for insightful analysis which can be used to optimize advertising creative, product design, digital communications and user experience. The brand development for Blue Kite represents best practice with Two by Zero being engaged to design a whole range of materials in the establishment of this cutting edge neuromarketing start-up. Applying the tools and techniques offered by the company to it’s own brand, a high quality result was achieved. The imagery suggested by the words “blue” and “kite” were so strong, there was no doubt that the logo should actually be a “blue kite”. The challenge for Two by Zero was to develop a solution that didn’t drift into cliches of kite imagery and that would also communicate the neuromarketing services offered by the business. The solution has a symmetrical, geometric design to convey the facets of the human mind via blue triangles contained within the shape of a delta-kite. The tail of the kite infers a sense of movement and playfulness, and hence suggests the idea of exploration, aligning with the experimental nature of the business. 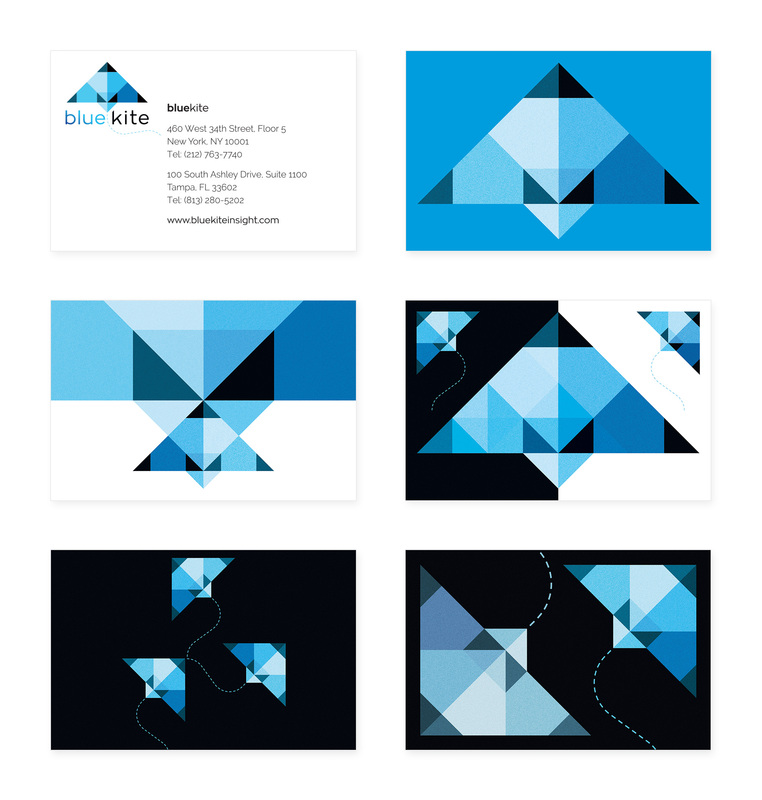 Pictured also is the brand applied to business cards which feature five different back of card designs.